Who wouldn’t want this fabulous place on a 16ft water clarity lake?! Get it now and enjoy it this summer! 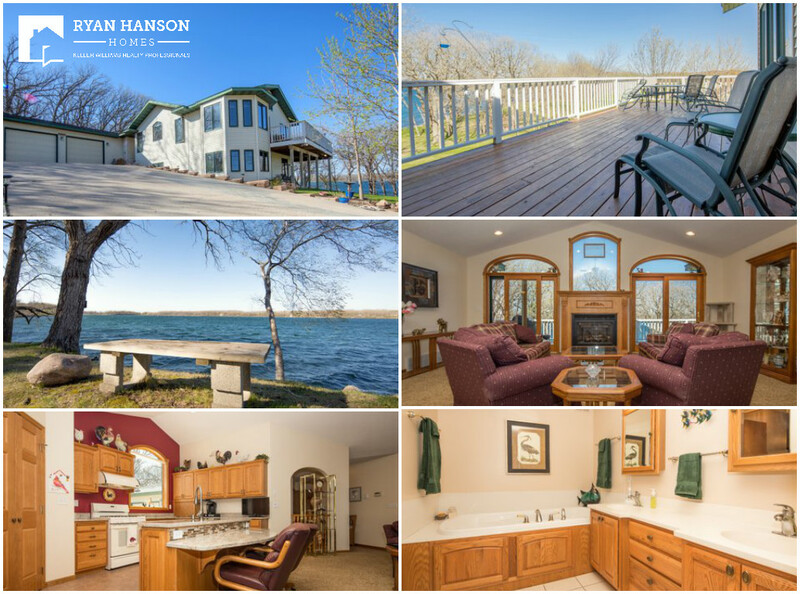 Find peace and tranquility in this park-like setting with 200 feet of riprapped frontage on Elbow Lake near Battle Lake. This 3+ bedroom, 3 bath walkout with an ICF foundation features main floor master bedroom and bath, eat-in kitchen with granite counters, gas fireplace, wraparound deck, 2-stall attached garage, and both a lower level shop and detached 30×40 metal shop for projects or extra storage. Elbow Lake is a 189 acre lake with 46ft depth and 16ft water clarity great for all types of recreation. All this for $499,900! Update: Now in the MLS! Click HERE for more details.